Anytime! Generally, the cycle begins with spring, then fall, then spring again. Jacob always recommends not listing in winter months. Sprucing your home up before you’re ready to sell is a no-brainer. Things that you might consider include de-cluttering, painting, new carpeting as well as attending to any other cosmetic flaws and touch ups. If you try to sell your home as-is without making any necessary improvements, you run the risk of turning away potential buyers who need that great first impression before making an offer. We offer staging as well as a home inspection prior to putting the home on MLS. What do I need to disclose to potential buyers? When it comes to selling your home, honesty is always the best policy. If there are any major deficiencies with the home, such a roof leak or a crack in the foundation, you should disclose them. Nobody wants to feel like they’ve been deceived, so the best thing to do is to disclose anything you are aware of. How much is my home worth? How is this determined? This is not a question that can be given a generic answer, as every home is different and different pockets of specific areas can be quite unique in terms of value. To get a better understanding of what your home is worth, it’s best to get in touch with Jacob. The most common method Jacob will use to determine the value of your home is by completing a CMA (Comparative Market Analysis), which is an in-depth evaluation of recently sold comparable homes. While this method may not be a crystal-clear window into the future of your home sale, when performed correctly by a seasoned professional, the sale price range can be narrowed down significantly. When in doubt, ask Jacob! But can’t I just find out what my house is worth by using a generic website? The short answer here is no. 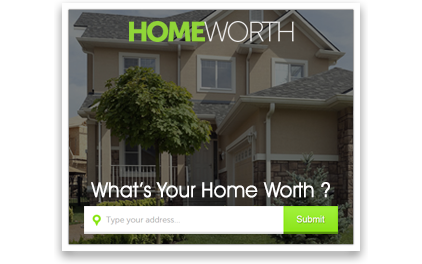 While a website may give you a very rough estimate, there are many different factors that help determine what your home is worth. A professional realtor can give you a better evaluation based on their years of experience and knowledge of the area. Commission fees continue to hover around 5% in Ontario when selling. We offer flexible commission packages with a range of services depending on your individual needs. How do I respond to lowball offers? While you might think your home is worth a million bucks (or more! ), you might still receive a lowball offer. Even if you’re upset about it, a counter offer may be better than not responding at all and having a potential buyer walk away. One of Jacob’s goals is to assist you in negotiating the highest dollar value for your home. Jacob will assist you in getting as many qualified buyers as possible into your home until it is sold. He knows that selling real estate is about more than just putting up a sign and holding a few open houses. To help sell your home for the most amount of money in the shortest amount of time, Jacob offers a comprehensive marketing plan than includes an MLS listing, a unique internet domain, and target market direct mail. Can you recommend professionals who may be needed throughout the transaction? From home stagers, cleaners, home inspectors, to lawyers, Jacob’s extensive network of industry professionals can help you though every step of the home selling process. How frequently do you communicate with your home sellers? The Asparian Group is open for business 8:30 AM to 8:00 PM weekdays and 9:00 AM to 6:00 PM on Saturdays and Sundays. We are a team consisting of a full-time administrator, a full-time marketing coordinator, as well as a full-time Broker to provide excellent customer service and answer any questions you may have. Your calls will be promptly handled and returned by either Jacob or Susan within business hours. Jacob will contact you to update you with comments, market updates that pertain to your property and feedback from buyers and agents. For more information and for any questions you might have about the home selling process, feel free to contact Jacob today!